The Fortnite High Stakes event is back in Season 8 thanks to a new Limited Time Mode. Not much about the game mode itself has changed, although of course you’ll be playing the Fortnite Season 8 map and with a bunch of the new weapons, gameplay mechanics, and vehicles from the current season, too. Take part in the latest iteration of the heist-themed game mode and you can porgress through a fresh set of Fortnite High Stakes challenges and earn some exclusive cosmetic rewards. However, it’s worth bearing in mind that a couple of these remain from the previous set of challenges or are minor tweaks. You don’t have to purchase the Fortnite Wild Card skin from the Item Shop to access the Fortnite High Stakes challenges – they’re free for all players to try out. 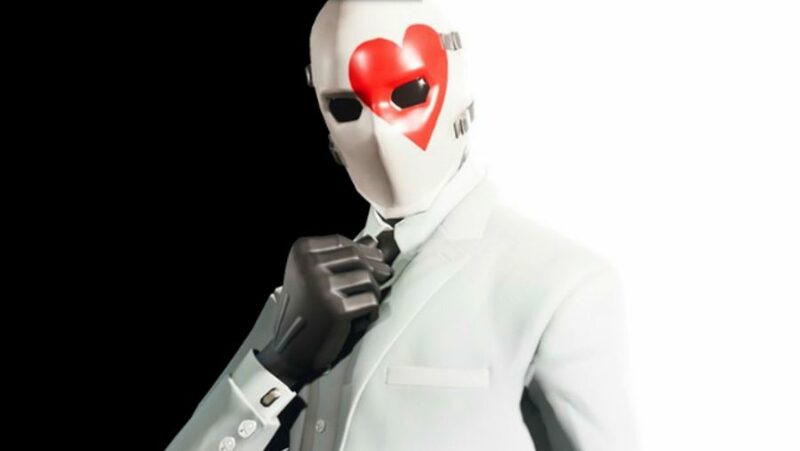 Of course if you want to look the part while you’re ticking these challenges off then the Wild Card outfits are in the Item Shop, as are the Safecracker Glider and a new bundle of Wild Card Wraps. Here are the new Fortnite High Stakes challenges for the LTM and how to get all of those new items for yourself. There are a few extra cosmetics to complement the heist-themed ensemble that can only be unlocked by finishing the Fortnite High Stakes challenges. 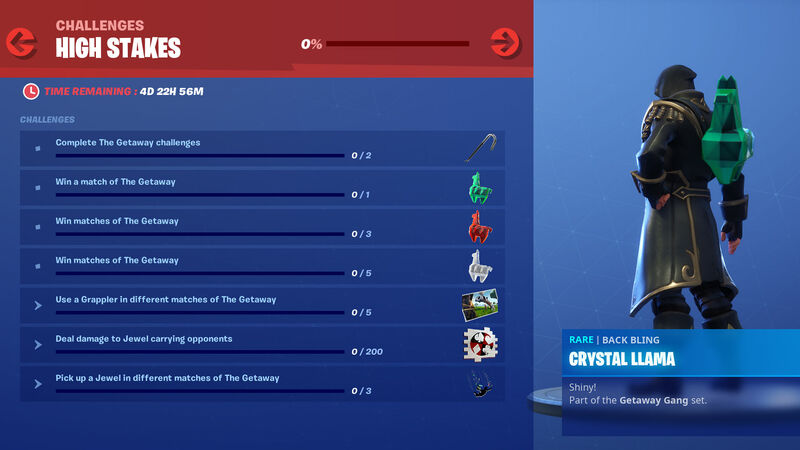 Complete all of the new LTM challenges to unlock the crowbar harvesting tool among other aesthetic delights. Oh, and here’s an image of the challenges in-game and their rewards below for good measure. As you can see you will have a total of five days to get through all of these, which tells us the LTM is definitely going away when the next Fortnite patch drops on March 19, 2019. If you’re after more Fortnite challenges from Season 8 then be sure to check our our map of all Fortnite Pirate Camps, and where to visit Fortnite’s furthest north, south, east, and west points – make sure you don’t miss out on those sweet, sweet Battle Pass tiers. For now, though, that’s everything we know about the latest haul of Fortnite High Stakes challenges.